Once upon a time, there was a housewife mother food-obsessed blogger Princess that lived in a gorgeous area surrounded by the richness of farm fresh abundance. The warm fruits of summer in this idyllic locale were many and varied, yet in the midst of the seasonal heat, the Princess’s thoughts began to wander toward the pumpkins and spice that autumn brings. Don’t get me wrong, the Princess ate summer’s bounty with enthusiasm. But part of of her heart yearned for the fall harvest. Or t’was the case until the warm days began to temper and shorten. Then the Princess clamored for the fruits that she had previously affronted with her wandering eyes. “Please! For all that is good and right with the world! Just. One. More. Cobbler!” she cried. Admittedly, the Princess’s palatte was at times fickle. But in all fairness, I hear that the Princess spends her days taking care of a gaggle of Young Knights with a penchant for flatulent humor, which is enough to make anyone a bit fanciful at times. Fanciful or not, the Princess was comfortable in her domesticity, and felt strongly about her Cobbler Convictions. The very same Convictions compelled the Princess to give in to her craving and make a sumptuous Cherry Cobbler. She knew that a couple of the Young Knights in her charge were skeptical of anything pertaining to the Cobbler Persuasion. Still she pressed on, in hopes of winning the favor of the young lads. She used the finest cherries in the land for the filling; cut the biscuit topping in the shape of teddy bears, all with hope of coaxing even the pickiest of Young Knights to sample her creation. Pleased with her efforts, the Princess offered the first portions to the Young Knights, the majority of whom refused the sweet-tart awesomeness that was her cobbler. No matter. The Princess ate their share with neither haste nor remorse. Moral of the Story: Young Knights are finicky, and wouldn’t know a great cobbler if it hit them with a jousting lance. The Other Moral of the Story: Make this cobbler today. Start with 6 cups of pitted, tart cherries. 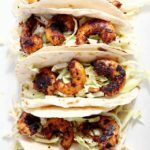 You can use fresh or frozen cherries for this recipe. I used “flash frozen cherries” from a local farm, so I let them thaw on the counter before using them. You should, too. Just place the frozen cherries into a mesh strainer set over a large bowl. As the cherries thaw, the excess juice will drain off into the bowl. Straining the cherries is essential so that the cobbler sauce doesn’t end up too thin. 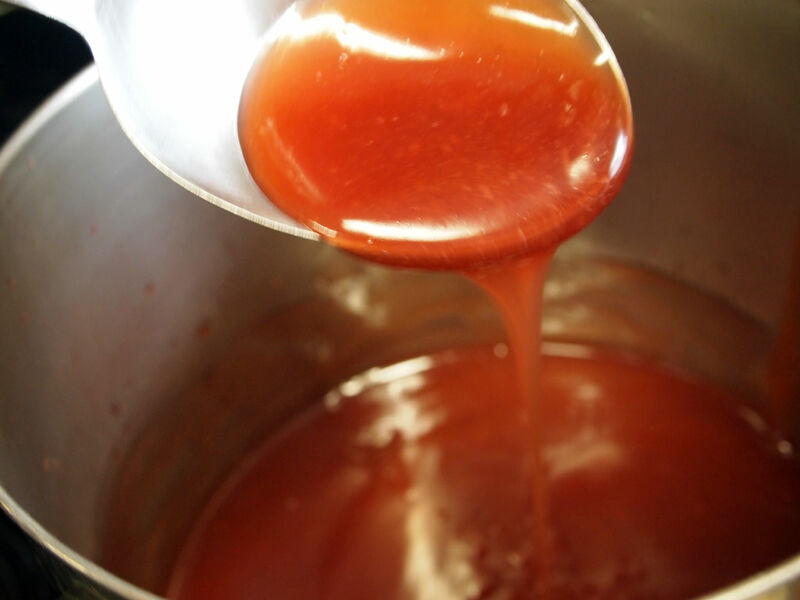 Mix a little of the cherry juice with water, and set it aside for the sauce. Be sure to save/freeze the rest of the juice–it’s great in smoothies. Place the sugar and a dash of salt into a small bowl, then scoop the cornstarch over top. Stir with a fork until the cornstarch is worked into the sugar. 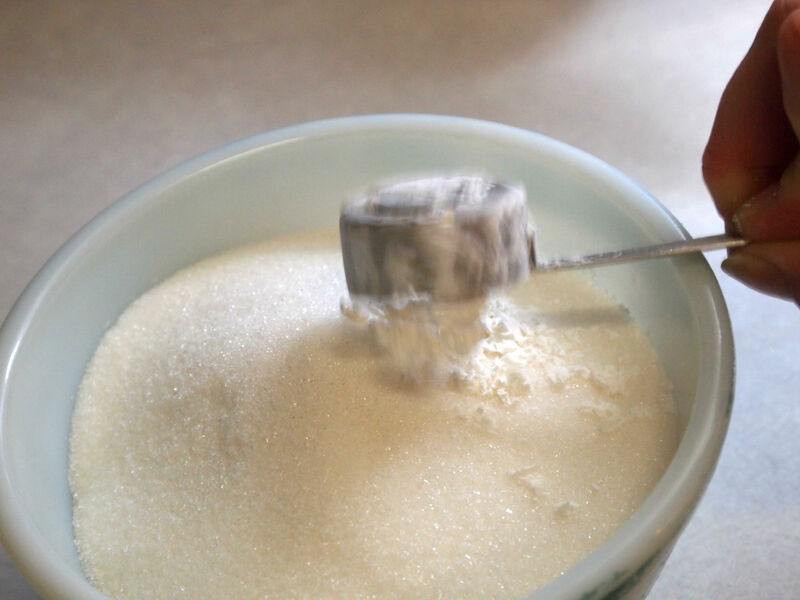 Transfer the sugar mixture into a small saucepan. 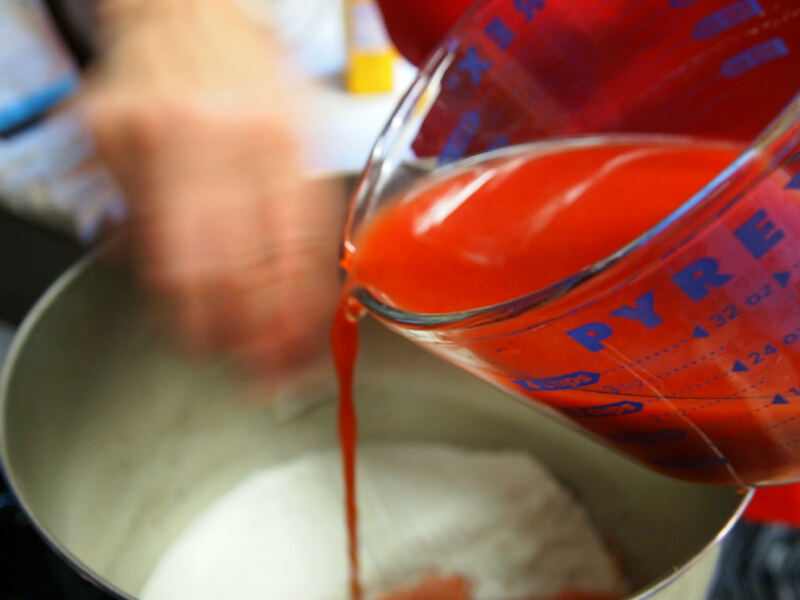 Slowly pour the cherry juice into the sugar mixture, and whisk it vigorously until smooth. This is the basis for a sauce for the cobbler. But first we need to heat things up a bit. 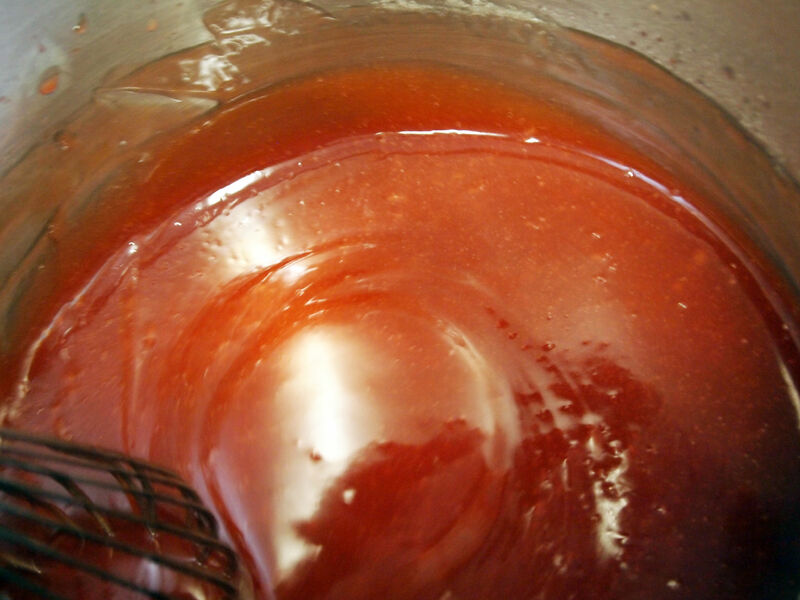 Heat the sauce ingredients over medium heat, whisking continuously, so the sugar doesn’t scorch to the bottom of the pan. Scorched cobbler can ruin your day. 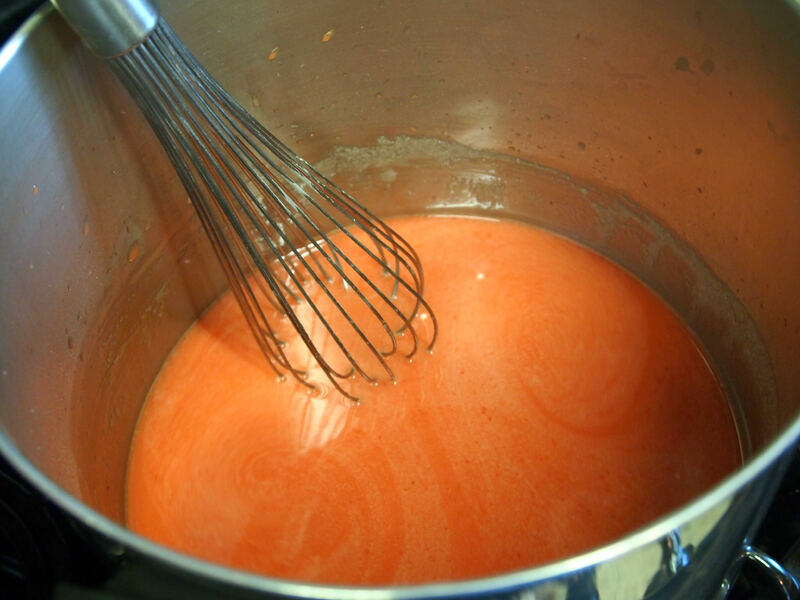 The sauce mixture may come to a low boil, if it does, turn down the heat just a touch, and keep whisking until the sauce gets really thick. The sauce should pour off the spoon rather slowly, like warm hot fudge. Remove the sauce from heat. Now I didn’t mess around with the color on this photo at all, so that I could call attention to the natural, ruddy pink color of the sauce. 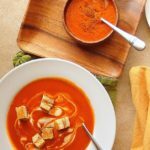 I like the rustic look of it, but if you’d rather the sauce be a more vibrant red, just mix in a few drops of red food coloring at this stage. 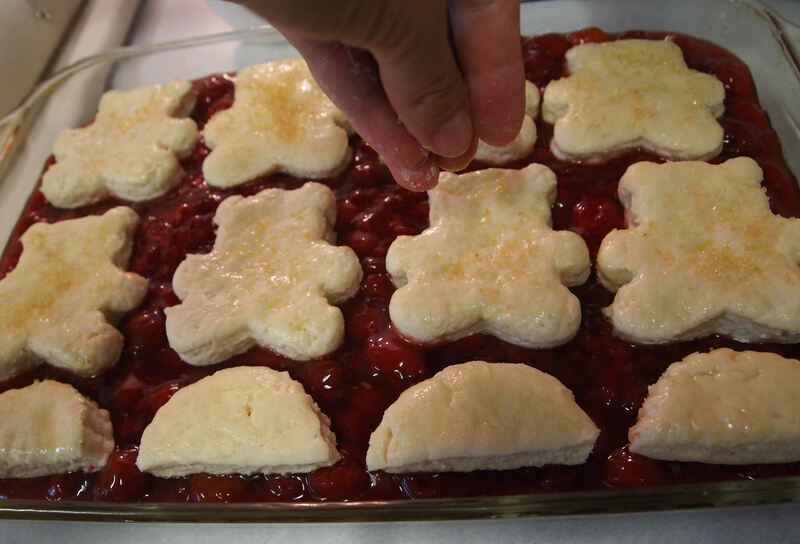 Fold the cherries into the sauce, and then spread that sweet-tart deliciousness into a 13 x 9 x 2 inch glass baking dish. Set the dish aside so you can tend to the biscuit topping. For the biscuit topping, I made half a batch of Light and Fluffy Biscuits. Because I think they are absolutely perfect. Give ’em a try if for no other reason than to take a trip down memory lane back to the days when I took food photos with my phone. Or go ahead and use your favorite biscuit recipe–you won’t hurt my feelings a bit. Even if that recipe comes in a can or bright yellow box. However the biscuit dough comes about, roll it to 1/2-inch thickness, and cut with 3-inch-ish biscuit cutters. I say ish because you can really use any size or shape cutter that you want. These teddy bears were a little more than 3-inches. Lay the biscuits fairly close together, without touching, before brushing the tops with a little milk. The milk will give the biscuits a nice golden brown sheen. 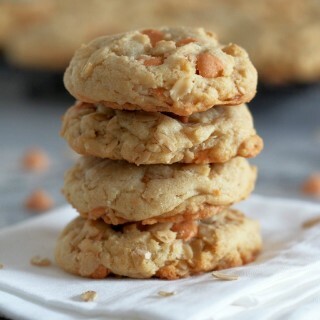 Sprinkle a little coarse (raw) sugar over the milk-brushed biscuits to give them a little crunch and sparkle. Sparkle is good. Bake at 350 F for about 15 minutes, or until the tops of biscuits are nicely browned and done underneath. Allow cobbler to sit for about 5 minutes to cool a bit before serving. 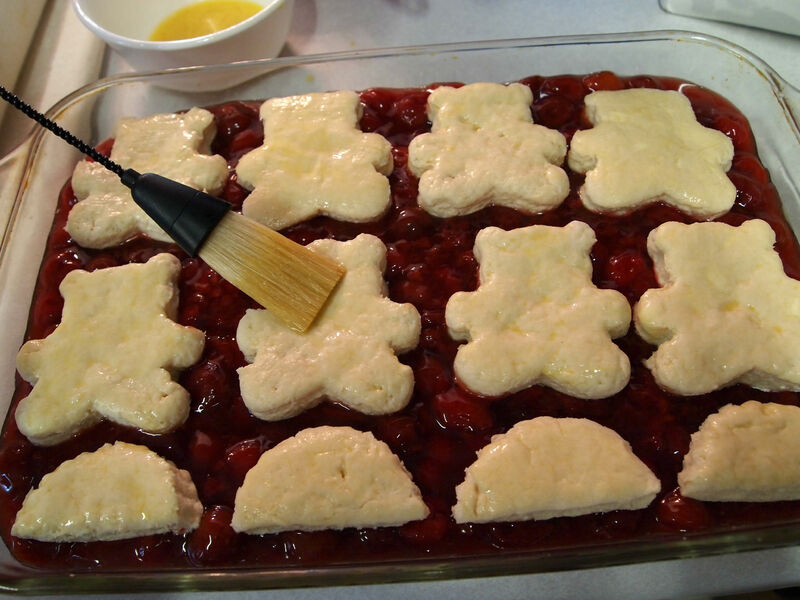 Then serve the cherry cobbler warm, perhaps with a splash of cream or dollop of vanilla ice cream. Just do yourself a favor–ignore the comments of fickle Young Knights, and give yourself an extra scoop of cobbler. 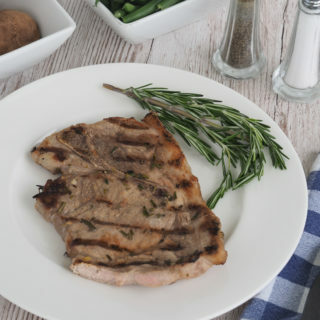 Preheat the oven to 350 degrees F. Get out a 13 x 9 x 2 inch glass baking dish. 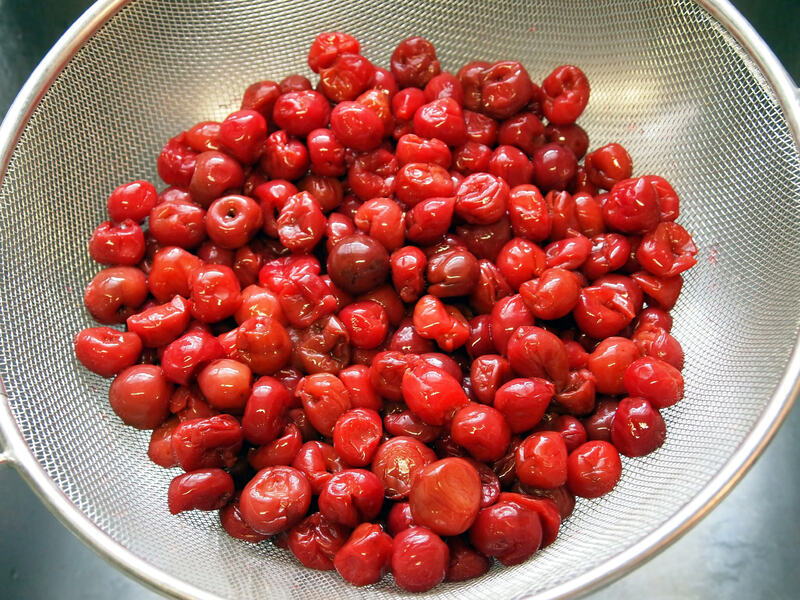 Place pitted cherries into a mesh strainer set over a large bowl to drain. (Frozen cherries may be used, if thawed completely before draining. Measure the frozen cherries after they have thawed.) You should get enough juice for the recipe. Mix sugar and cornstarch well in a medium saucepan. 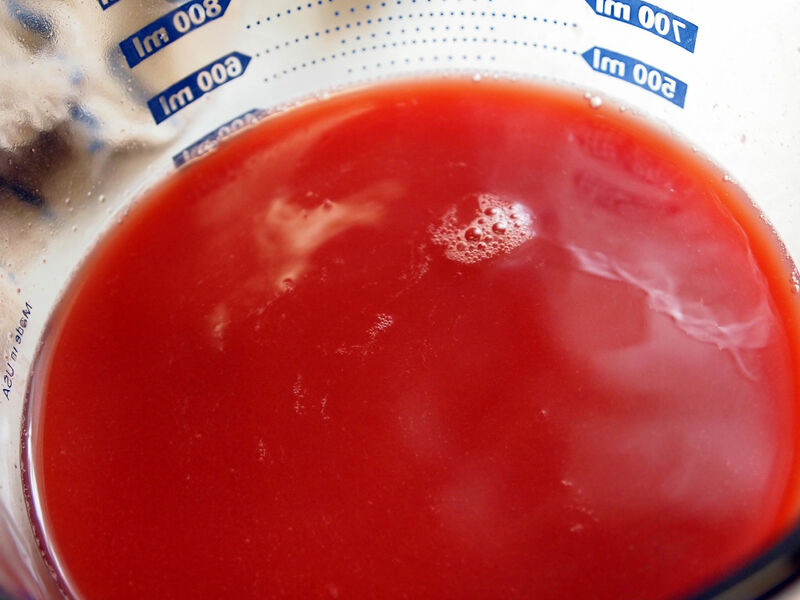 Combine the cherry juice and cold water in a measuring cup. Slowly stir in the juice/water mixture into the sugar mixture in the pan, whisking until smooth. Remove from heat and fold in the cherries. 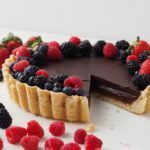 Spread the filling in the bottom of a 13 x 9 x 2 inch glass baking dish. Refrigerate the filled baking dish for about 10 minutes, to cool. 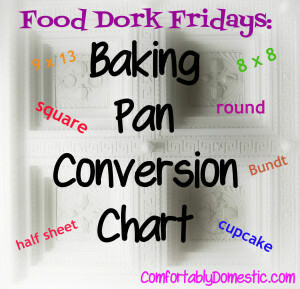 In a large, bowl, whisk together dry ingredients: flour, baking powder, sugar, and salt. Add very cold butter to the dry ingredients in the bowl. Cut in with a pastry blender or grate through a box grater, until butter is the size of small peas. TO MAKE A ROLLED BISCUIT TOPPING: Turn dough out onto a clean and lightly floured work surface or pastry mat. Lightly flour the top of the dough. Then, flatten the dough into a 1 inch thick rectangle. 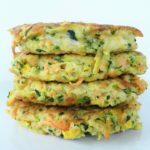 Gently knead the dough by folding it onto itself and lightly flattening into another rectangle. Repeat this process 5 times. It is important to have a light touch, and not to over work dough or biscuits will be tough. Slow and gentle is the key. Pat or roll the kneaded dough into a large rectangle, ½ inch tall. 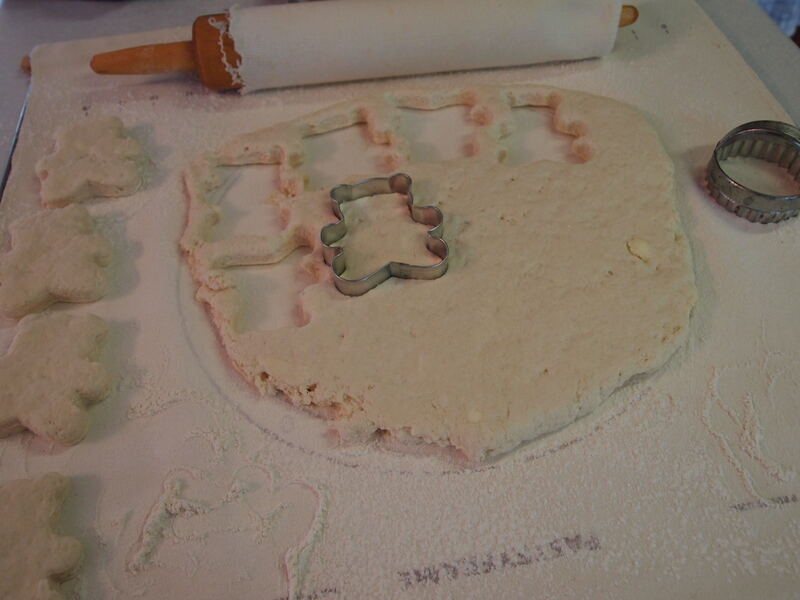 Using a 3 inch diameter biscuit or cookie cutter to push straight down through the dough to cut biscuits. Do not turn the biscuit cutter, or biscuits will not rise as well. Also, cut the biscuits as close together as possible. Piece together remaining dough, and repeat the process until all of the dough is used. Gently place cut biscuits 1-inch apart on top of the filling. Brush the tops of the biscuits with a little milk, and sprinkle with a pinch of granulated sugar. Bake the cobbler for about 15 minutes, or until tops of biscuits are puffy and begin to turn golden brown around the edges, and filling is bubbling. Let cobbler rest for 5 minutes before serving warm. Add a dollop of freshly whipped cream, or vanilla ice cream, if desired. Will you be my mommy? I promise I will eat your cobbler. I will eat it for breakfast, lunch and dinner! Oh man! 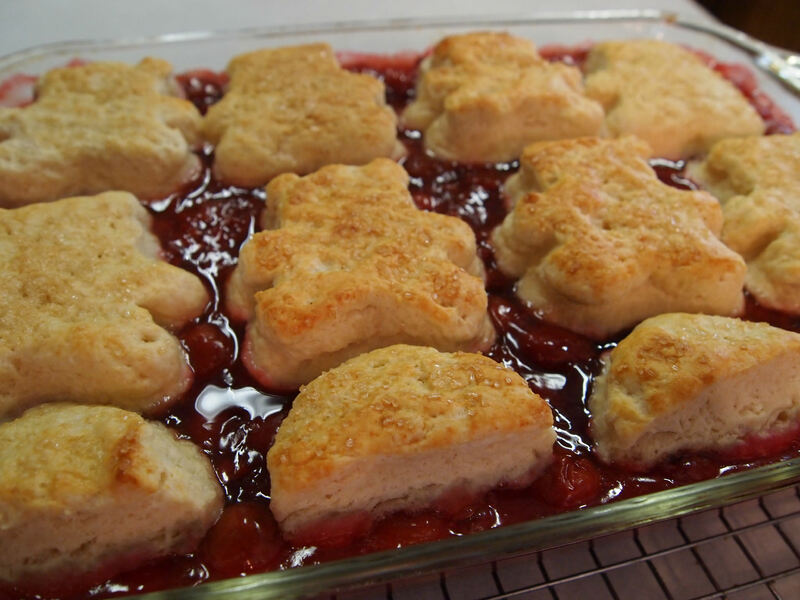 Looking at those pictures reminded me of the cherry cobbler that my grandma used to make and as a child, I could not and would not eat it. My, how things have changed. Maybe the young knights will have a change of heart in ten years or so! 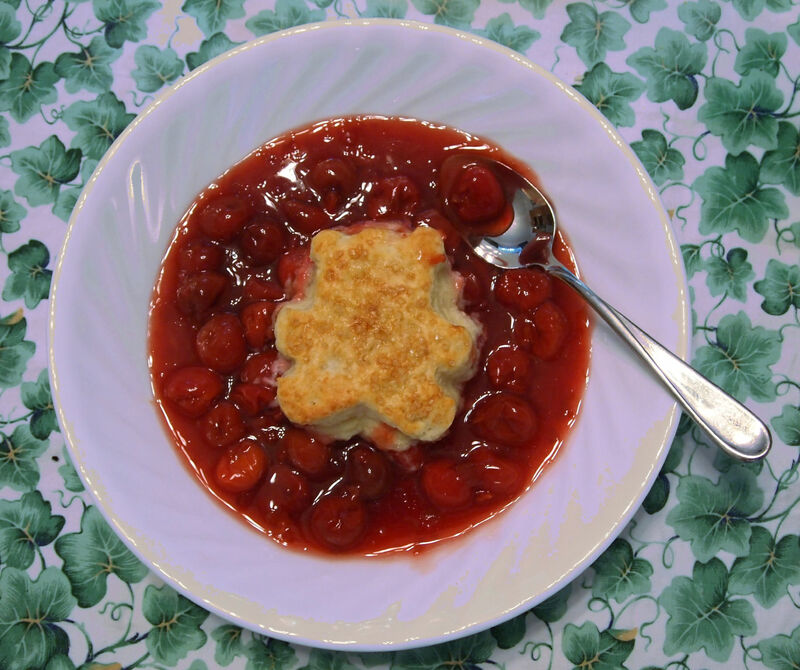 I love, love, love cherry cobbler and often make it in the middle of winter with my frozen cherries. There's no such thing as out of season. And I love the shaped biscuits you put on top. What a cute idea! Whoa. 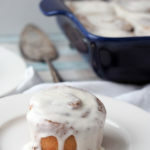 Those last few photos made my mouth water. I want cobbler, too! 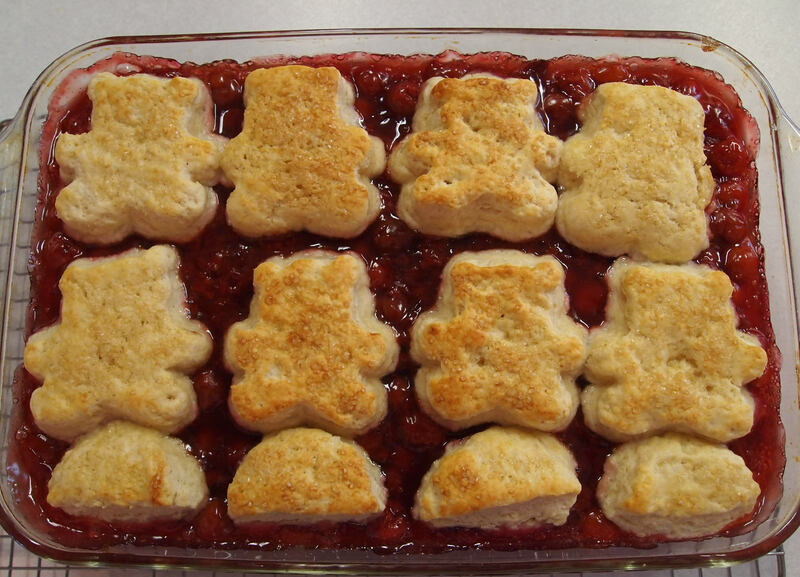 Cherry cobbler with adorable bear biscuits on top. I don't know what it was about this summer, but I could NOT get enough chili peppers or cherries. I'm still craving them. PS - Loved the idea of you as a Disney princess surrounded by surly, flatulent knights. Okay... that sounds more like Monty Python than Walt Disney, but it still makes me giggle. Ha! I kept thanking of the Knights who say Ni, and the knight with "just a flesh wound," while I was writing. Oh holy heck! I have always wanted to make my own cherry pie filling. Thanks for passing on the know-how and can-do! Genius. 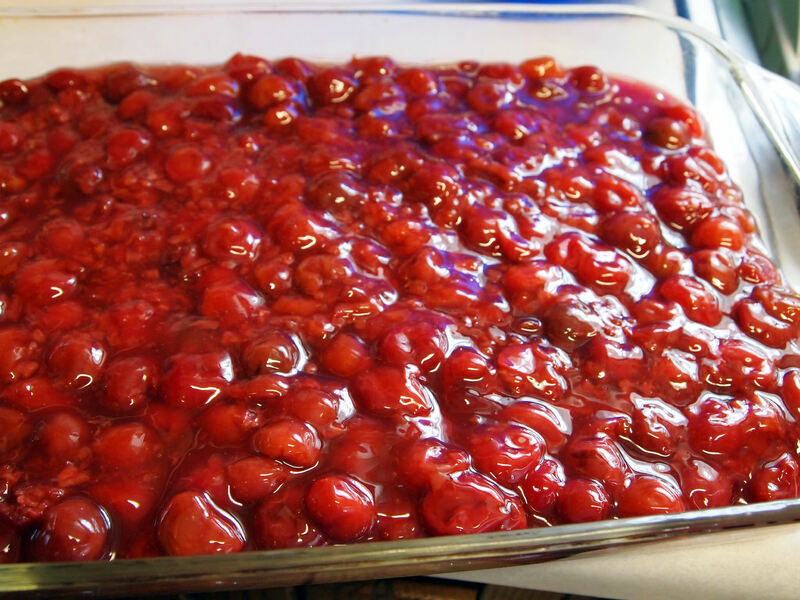 Funny, I just made 1 1/2 times our family recipe for cherry pie filling for the cobbler. Cut 50% of the recipe, and you'll have enough cherry pie filling to filled an 8 or 9 inch blind-baked pie shell. 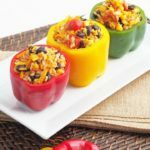 Or if you don't feel like doing the math, I'll email the recipe to you. 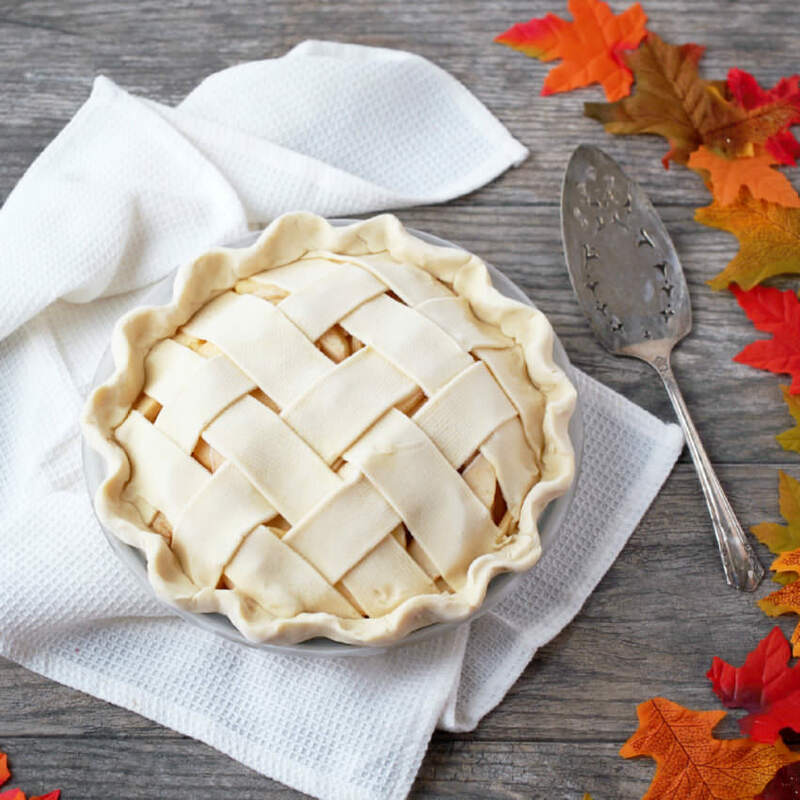 ;) I've also used the filling in a baked double-crust pie with good results. LMAO I love your posts. This just cracked me up, particularly the bit about jousting lances. That cobbler looks goooood. I was actually thinking of making a cobbler soon. Thank you for the inspiration (and the laugh)! You really can't go wrong with a good cobbler. I just started streaming the first season of the Tudor's, so I kind of have jousting lances on the brain. That's so cute! 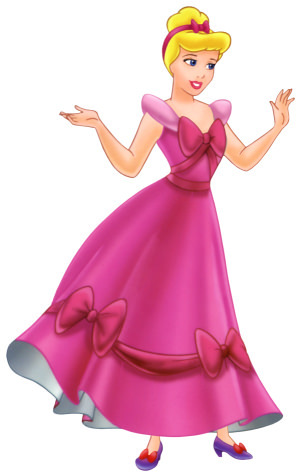 I must admit that although I knew the pic was of Cinderella, I have no idea what color her dress should be. However I could tell you in minute detail what color light sabers the Lego Star Wars guys all use. OK, not really, but my boys sure could. My boys are look at me like there's something wrong with me when I ask what they feel is such an obvious question about something like colors of the light sabers for their Lego Star Wars guys. So, now I just smile and nod, as if I know what the heck they are talking about. You are an incredible young woman! And to think you sat next to me! You are so sweet, Kathleen! I really miss knitting with you guys!